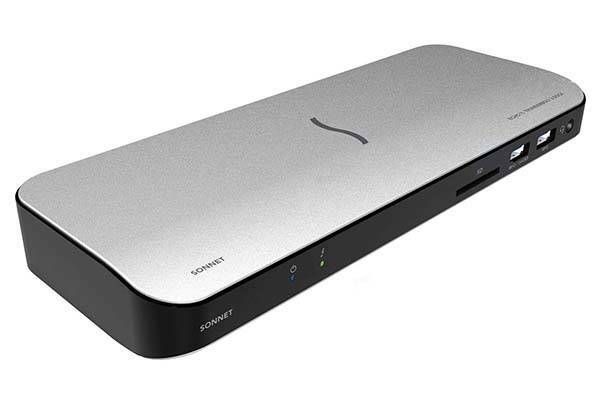 Sonnet Echo 11 Thunderbolt 3 dock has been ready to make your computer more powerful with various external devices, and the 87W power delivery ensures stable performance for all connected devices. The Echo 11 is a powerful and versatile Thunderbolt 3 docking station that measures 9 x 3.5 x 1 inches and weighs 0.66 lbs. As we can see from the images, the dock features a minimal and compact appearance design, and the silver top and bottom panels ensure it’s compliant to the modern style of your laptop. The Thunderbolt 3 dock is compatible with both macOS and Windows, and it comes equipped with 11 interface types including 5 USB 3.0 ports, two Thunderbolt 3 ports, Gigabit Ethernet, 3.5mm audio jack and HDMI 2.0 port as well as a SD card reader, so it allows you to connect more external devices with your computer. Using the HDMI port and one Thunderbolt 3 port, the docking station supports up to two 4K displays in order to improve your productivity. 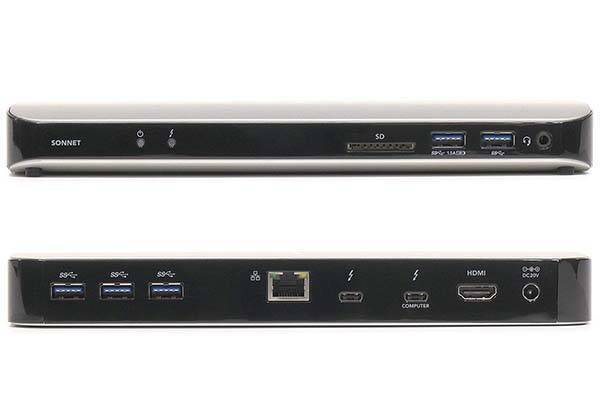 Moreover, the main Thunderbolt 3 port provides 87W of Power Delivery so that it can charge the connected laptop while remaining stable power output for other connected external devices. The Echo 11 Thunderbolt 3 dock is priced at $299 USD. If you’re interested, jump to the product page for its more details.